If you remember this post, I was debating the whole buy vs. build decision for a potting bench/outdoor buffet. A build would have been really ideal because of the awkward space and the way I wanted to incorporate a hidden cooler but the reality of life stepped in and convinced me to go with a more affordable and much less time consuming buy option. I feel like I compared every ready made potting bench on the market and narrowed it down to these three: modern style teak with a steel top, a cheaper version with cabinet + drawer or this simple mid priced all cedar unit. Ultimately I went with option 3 thinking it would last the longest outside and be most versatile. Now I have it, I don't know how I did without it. It's a great little workspace and makes that spot under the stairs so much more functional than the pile o' junk storage I was using it for before this arrived. 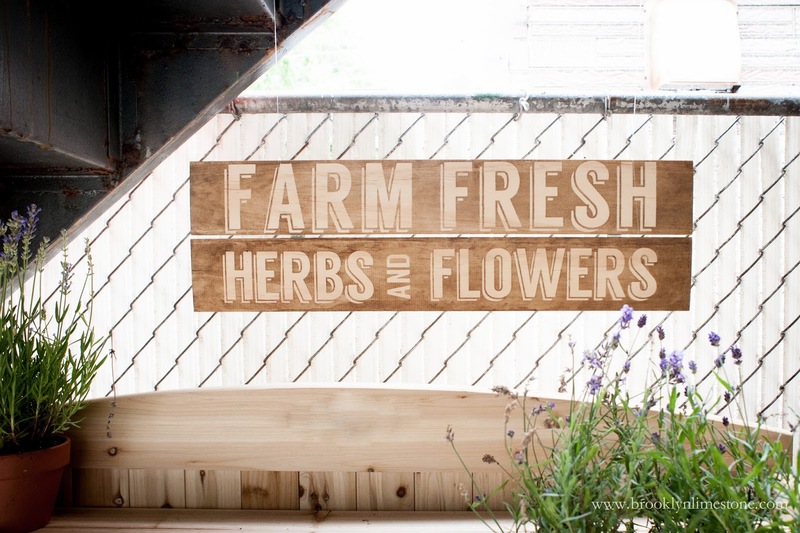 Of course I can't just leave well enough alone so I whipped up a quick farmer's market inspired sign with some scrap wood I had laying around to fill some of the dead space to make it a little more personal. Right now it's doing its intended duty as potting bench but I can't wait to have our next outdoor BBQ so we can use it as a bar/buffet. I thought about painting it or cutting a hole out to make room for a large bucket to serve as a drink cooler as well as a few other upgrades but I think I'm going to leave it just as it is right now. Maybe its the heat of summer or the general malaise of the 9th month of pregnancy but I'm feel the need to simplify lately and not put quite so much pressure on myself for everything to be just so. It's definitely a struggle for this control freak but I'm trying. Anyone with me? Love it! 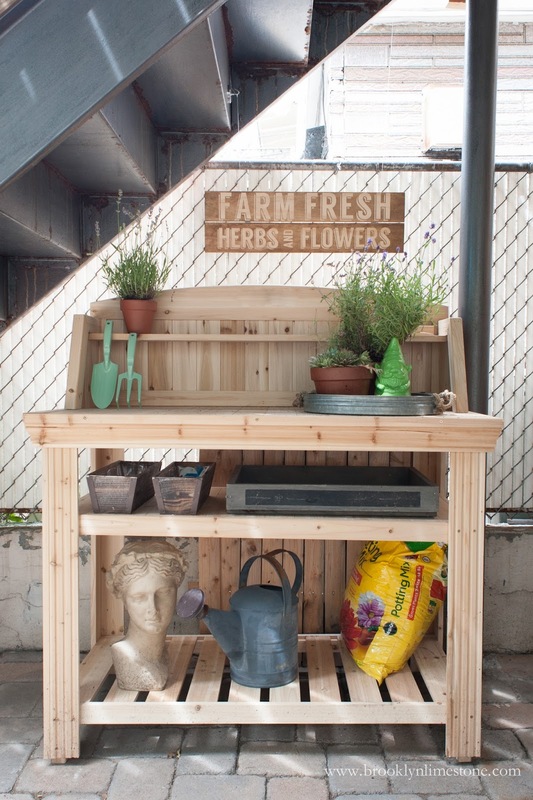 We have a baker's rack in our courtyard that we converted to a potting bench/bar. All it took was some spray paint and a slab of granite to upgrade it from its original use. You will get lots of mileage out of your new purchase. Good luck with your final weeks of pregnancy. Remember to rest. Looks great! And in your ninth month of pregnancy, you get a pass! You can make it just so for next summer!